In a recent piece for click! photography changes everything, imaging analyst Steve Hoffenberg estimates that in 2008, close to 500 billion photos were taken with digital and cell phone cameras. That number is astonishing, and while it suggests that photographs are being made all the time and everywhere, it’s not always the case; there are many places where—rightly or wrongly—photography is not allowed. 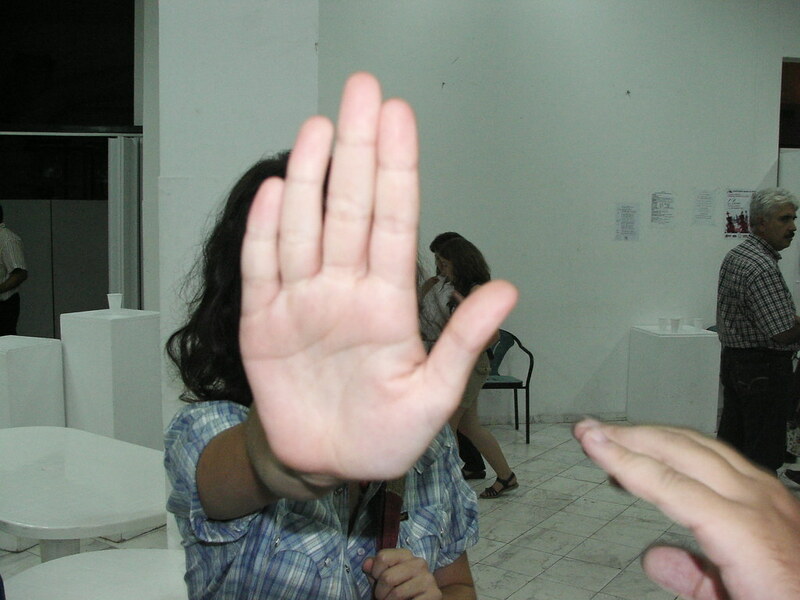 In a recent post on the Guardian’s website in Great Britain (the country known for having the world’s highest security-camera-to-citizen ratio), Henry Porter catalogs numerous instances of people being stopped from taking pictures because of “terror legislation”: tourists prevented from snapping pictures of cathedrals, a BBC photographer stopped from shooting scripted background shots for a TV show, a “suspiciously tall” man questioned for photographing in a fish restaurant. As Porter sees it, it’s not simply that the rights of professional photographers, journalists, and amateurs are being infringed upon. The bigger issue is our freedom in, and the ownership of, public space. In the US, similar and a few more idiosyncratically American circumstances suggest that picture taking may dunk you in legal hot water. It’s only in the past few months that the media has been given access to photograph the returning coffins of soldiers who’ve been slain overseas. In post 9/11 New York City, people taking pictures are often stopped by police from taking pictures on the subways, even though it is absolutely legal. “No photos” restrictions are put in place for reasons that are ideological, commercial, practical, and sometimes just paranoid. 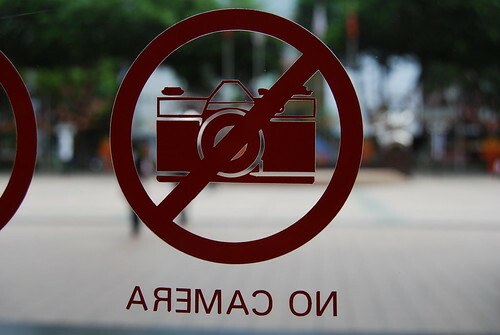 Sometimes public photography is encouraged, allowed with restrictions, or simply banned and in certain museums. (To see the Smithsonian’s photo policy, click here). In one clever example of appropriation earlier this year, New York’s Metropolitan Museum created an ad campaign, “It’s Time We Met,” that features visitors digital images made in the museum’s galleries. You might not be aware of it, I wasn’t, but we’re not supposed to take pictures in IKEA, Trader Joe’s, and at some public pools, parks, and beaches (Link removed as no longer available.). And in looking around online, one of the more curious blog posts I came across, was a kind of get-even visual catalog of “illicit photographs” illustrating what looks like the full menu of a new LA restaurant, where the management made a point of telling patrons that it was not only wrong to photograph the edibles, but that the trendy restaurant’s Philippe Starcke-designed interiors were off limits, too. Search for “arrested for photographing” on Google, and you’ll comes up with over a quarter of a million entries, including the one about parents arrested for photographing their very young children holding handguns. As smaller-and-smaller and easier-to-use cameras proliferate, and as more and more security cameras are pointed our way, issues around who and what we can and cannot picture will keep growing. It’s definitely, as the expression goes, something worth keeping an eye on.